Front Office → Checklists → Checklist Templates Autogeneration Rules enable precise specifications regarding when a Checklist should be assigned within a Work Order. Configuration → Setup → Approval Workflow Approval Workflow displays greater visibility of the individuals who will provide approval for the created workflow. Many Locations Integrated Date and Time controls for easier data entry. Front Office → Scheduling → Operation Details Operational Detail view can be configured and saved. 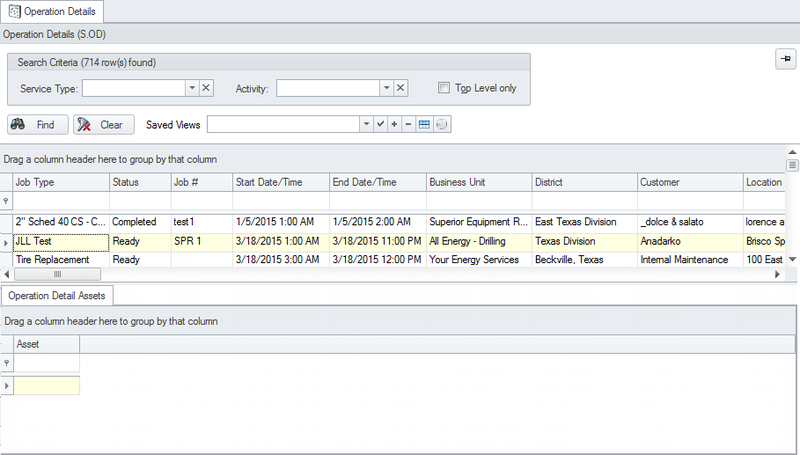 Additional information about assets used on the selected job can now be seen in the lower grid. 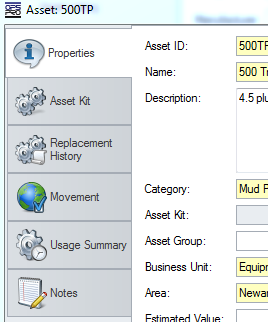 Back Office → Assets → Categories Asset Categories can be assigned to a Business Unit for filtering purposes. Images can be assigned to an Asset Category for use with a BHA. 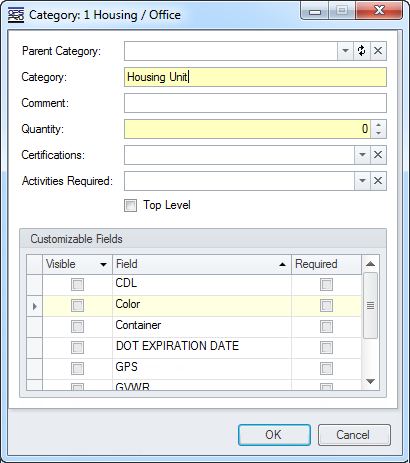 Notes and Documents can be added to an Asset Category. Back Office → Assets → Asset Listing → New Asset Defined asset templates are used to fill in smaller sub-parts of a new asset. Back Office → Assets → Asset Listing → Asset Properties Movement and Status changes are now visible on the respective tab. Documents can be attached to the asset for reference and offline access. Configuration → Setup → Service Types Job Types setup and configuration screen is now visible from the main Service Types screen. 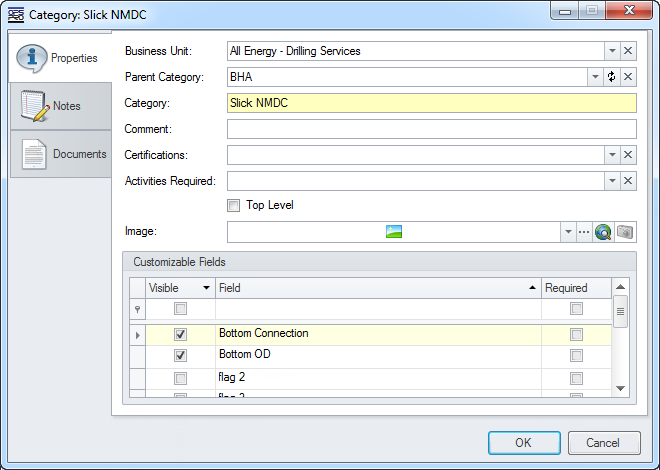 Configuration → Setup → Service Types → Operation Activity Each field required during OFS Field entry can be defined for each operational activity.